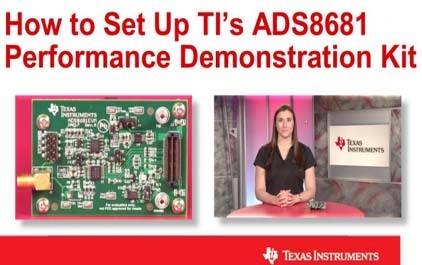 his video will demonstrate how to set up TI's ADS8681 performance demonstration kit. 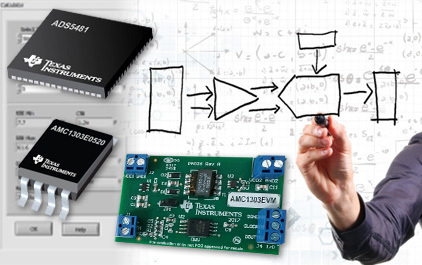 The ADS8681 is a 16-bit, 1 MSPS, single-channel precision SAR ADC. The device features an integrated analog front-end (AFE) input driver circuit, overvoltage protection circuit up to ±20 V, and an on-chip 4.096-V reference with extremely low temperature drift. Operating on a single 5-V analog supply, the ADS8681 can support true bipolar input ranges of ±12.288 V, ±6.144 V, ±10.24 V, ±5.12 V, and ±2.56 V, as well as unipolar input ranges of up to 0 V to 12.288 V. This device also features TI's innovative multiSPI™ digital interface.